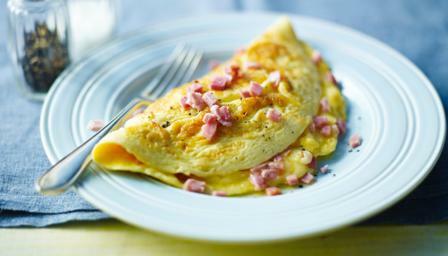 Try this classic omelette for brunch or as a quick and satisfying dinner. Fold the omelette in half, then remove the pan from the heat and tilt it slightly to move the omelette to the edge of the pan. Slide the omelette onto a serving plate, then shape it into a neat roll. Sprinkle over the remaining ham.